Before I talk about this post, I just want to give a shout out to all my recent new followers. Thank you so much for feeling compelled enough by my photography to decide to see it every day on your feeds. I appreciate the love more than you know. And now! Another piece of the Dallas Museum of Art. 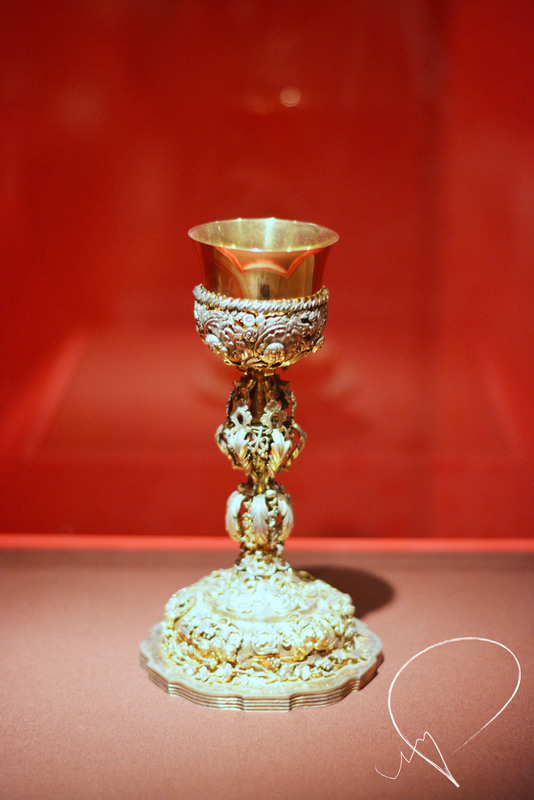 This chalice was in the Mexican room, I believe. I really liked it and thought it was striking with that fantastic lighting and red background.